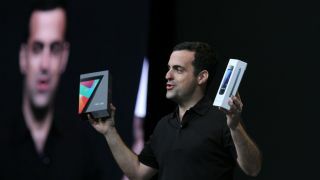 Right after the announcement of the Google Nexus 7 tablet at Googe IO 2012, Gameloft announced that it is optimizing 10 of its popular mobile games specially to run on the new tablet. Eight of the 10 titles are already available in the Google Play store, including Dungeon Hunter III, Fantasy Town, Fashion Icon, Men in Black 3, Modern Combat 3: Fallen Nation, N.O.V.A. 3: Near Orbit Vanguard Alliance, Oregon Trail: American Settler, and Shark Dash. The other titles getting Nexus 7 optimization are Asphalt 7: Heat and The Amazing Spider-Man, both of which are releasing soon on Google Play. "As Gameloft seeks to be one of the first publishers to optimize its titles for each new platform, it is with great enthusiasm that we now bring a roster of our biggest hits for the new Nexus 7," said Gameloft VP of publishing Baudouin Corman. The optimized games will be on display during the Developer Sandbox Thursday, June 27th, at the Google IO conference.